Everyone knows how important the engine is inside a vehicle. Many people do not quite know how much work it does and what it goes through every day. Without proper care, your engine wears down and becomes less effective. Eventually, damage is sure to happen that is costly and leaves you without your vehicle. Many times, getting an engine rebuild is the best way to solve that problem. Engine rebuilds refresh your engine as if it were new, ensuring you get the best performance, mileage, and safety possible. Here at University Chevron, we know how important a proper engine rebuild is, and it should not be left to just anyone. 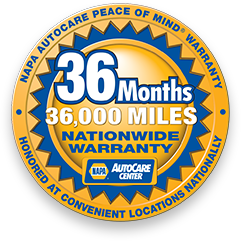 The trained ASE Certified technicians here at University Chevron work hard to perfect auto service, and with over 38 years of experience, you can be sure it works. Call, stop by, or schedule an appointment online now.